The county of Essex was one of the first to avail itself of the Rural Police Act, a committee of Magistrates being set up in 1840 to select a Chief Constable for the county. Source: ‘The Essex Police’ a book by John Woodgate 1985. 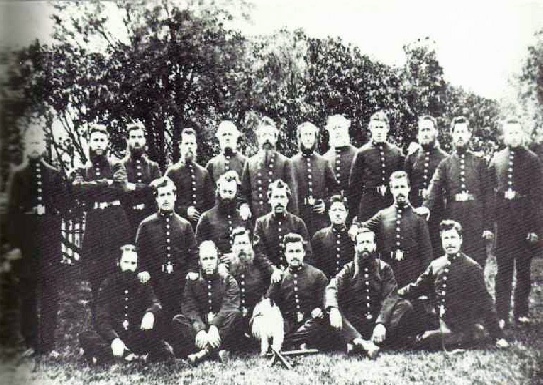 The growth of the Essex Constabulary by no means kept pace with the growth of population in the county during the nineteenth century. In 1840 an inspector and two constables was considered sufficient for the growing seaside resort of Southend, which in that year had a population of 5,279 if one includes Leigh-on-Sea and the other five parishes which eventually made up the borough of Southend-on-Sea. At the 1871 Census the population of that same area had risen to 9,747, but the strength of the police had not increased in proportion. In April, 1873, the ratepayers and inhabitants of Southend petitioned the County Justices not only for an increase in the number of policemen but also for the building of a permanent police station and magistrates’ court. Every summer Southend saw its population swollen by an influx of holidaymakers brought by steamer and by train from London, and it cannot be wondered at that the inhabitants pressed for a substantial increase in police cover. The Justices fully supported the application and by October land in what is now Alexandra Street had been purchased for £450 and a contract for a station house incorporating four cells, a magistrates’ court and accommodation for a superinten­dent and four married constables had been put out to tender. The contract was awarded to a Maldon builder named Saunders who undertook “to complete the work within ten months from 3rd September, 1873,” but it is obvious that difficulties were encountered and the building was not completed until the end of 1875. No less than £4,500 of the £4,568.18s.4d the building cost was borrowed from the Police Pension Fund at the usual four per cent interest. Realising the potential of this thriving community McHardy was already making plans to transfer the divisional headquarters from Rochford to Southend. From the moment of transfer the police presence in Southend grew apace, with sub-stations being established at Shoeburyness, Westcliff, Hockley and Great Wakering. That same year of 1874 saw the introduction of new headgear which has since come to be regarded as the distinctive mark of the policeman. In October McHardy wrote to the Justices saying that as other forces had discarded their hats in favour of helmets he recommended that officers in Essex should be issued with similar headgear, at the same time pointing out that the Metropolitan Police had issued new-style uniforms to their superintendents and inspectors and suggesting the issue of similar uniforms to senior members of the Essex force. His proposals were accepted, and thus the dress coat which reached almost to the officer’s knees and the bowler-type hat he had worn since 1855 disappeared, replaced by a shorter tunic and a helmet whose design has remained virtually unchanged since that time. Superintendents and inspectors found the fronts of their uniform jackets adorned with black frogging which was to remain an essential part of their uniform until well into the present century.